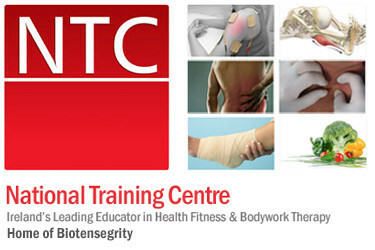 The National Training Centre (NTC) is Ireland’s longest established training provider offering professional industry based qualifications in the areas of Fitness Instructor Training, Personal Training, Pilates Instructor Training, Neuromuscular Physical Therapy and a range of other health fitness related courses. NTC is an academic partner of the University of Chester and we provide students with the opportunity to study part time for a Masters Degree in Exercise and Nutrition Science and a Masters Degree in Neuromuscular Therapy. There are a wide range of courses to choose from at NTC and all courses are offered part time in various locations. NTC tutors are world class experts in their fields and have many years of professional and teaching experience. They hold specialist qualifications in education so they are equipped to teach a range of individuals no matter what their background. NTC is dedicated to advancing and integrating scientifc research to provide educational and practical applications of human movement, exercise science and bodywork therapy. If you are thinking about which course to choose, remember not all qualifications are equal – choose the best and opt for the gold standard in education. NTC see who you can be!